The purpose of the 2017 Summit is to provide a solution to the 1.1 billion women, children and refugees without access an officially recognized identity with innovative technologies like blockchain. 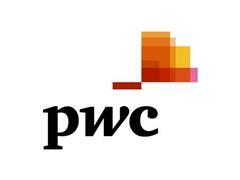 PwC is a founding sponsor of the summit, now in its second year, which brings together experts from government, enterprise, and cutting-edge blockchain companies, who together will collaborate on providing digital identity solutions for the global population. The format of the event – Platform for Change - will encourage stakeholder participation and expert discussions on the potential application of advanced technologies. The event will feature expert panels from some of the most innovative minds in the technology and humanitarian space with keynote addresses from the UN, PwC, Microsoft, Accenture, PayPal, MasterCard, and Consensys. Platform for Change will highlight how identity is critical for economic opportunity and how distributed ledger technology could serve as a solution. As part of the event, globally renowned members of blockchain development, humanitarian efforts and technologists will lead focus sessions at Microsoft’s Technology Hub to begin laying out a roadmap for action and canvass support from those attending the event. In 2016, with the support of a number of partners including PwC, Microsoft, the International Telecommunications Union, and the UN Office of Partnerships, the first ID2020 Summit was a resounding success, drawing attention from both public and private-sectors as well as significant coverage in print and social media. PwC was a founding sponsor, bringing specialists in blockchain and disaster response, along with experience working across public, private and third sector partnerships.